These appliques are adorable! I love the sparkly ghost and spook pumpkin! Thank you for sharing. Won't you stop by to read a spooky Halloween tale and recipe? Hi Kitty! 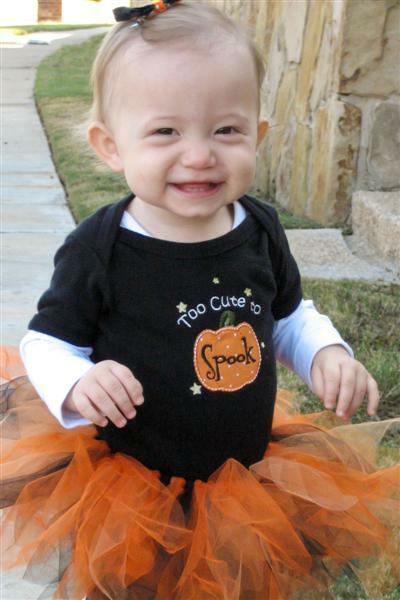 Oh, what darling little grands and how wonderful you've made such little cute outfits for them. Love the too cute to sppk. Kitty, really cute stuff for really cute kids! Your talent never ends! These are adorable projects and such cute kids! Kitty, these are so stinkin' cute! You are one talented seamstress. I love it all so much that I can't pick a favorite. Your grands look like you! Miss Kitty...I'm just going to have to ask you to stop being so creative...you are making me look reeaaallly bad! Love you!